Curry is probably the most popular Indian cuisine in the west. But its connoisseurs mostly live in the south. Curry is not as special for Indians from other parts of the country, as it is to the people in the south. A Punjabi, who loves their chapattis and a dish made from spinach, often cringes at the sight of dhokla, which is another popular dish in the south specially Gujarat. The cuisine of the omnivorous people in the north east is yet to spread to the rest of the country. The Bengalis love fish and rice, but Gujaratis prefer to stay mainly vegetarian. In Bihar, people are particularly fond of a dish called “litti chokha” stuffed with “sattu” (roasted gram flour). The South Indian “masala dosa” is cherished all over India. The point I want to emphasize is that there is no uniform Indian cuisine; there is much variety to be found here. Here’s a list of the most popular chicken dishes of India. Nothing mirrors a society better than its literature or cinema. It may seem to foreigners that Indian cinema is all about Bollywood and Bollywood is all about Hindi films. Nothing could be far from truth. Of the more than 1,200 films annually produced in India, a little over 200 are in Hindi. Tamil, which also accounts for around 200 films a year, gives a tough competition to Hindi cinema. There is vibrant culture of cinema in other Indian languages too. And it’s not only about Indian languages. Each year, several dozen movies come out in English. Indians love movies, a source of popular entertainment. They love to go out with their friends or family and could easily watch a Hindi movie for 3 hours. Life in India would be quite boring without these the colourful movies. India is often dubbed as the land of festivals. Rarely there is a week when there isn’t a festival to celebrate. With the exception of a Diwali and a couple of others, India doesn’t even have national festivals. Onam is a popular festival in Kerala, very few people in the north are even aware of it. Similarly, Chhath puja is celebrated by only a few outside Bihar. My grandparents are ardent Chhath enthusiasts and every year, it’s an occasion where the whole family from all over India would gather. Ganesh Chaturthi, another popular festival, has yet to cross Maharastra’s borders. Gurupurabs are a public holiday in Punjab, rarely a person from West Bengal is even aware of their existence. The Durga Puja (the nine day worship of goddess Durga) is one of my favourites It is a festival of good versus evil. In Bihar my home state, we celebrate this festival with great devotion and enthusiasm. Me taking part in the Durga Puja celebrations with family and friends. Can you spot me in the picture? The clothing in India varies from region to region depending on climate and ethnicity. Both South and North Indian women wear the saree that is draped around the body in various formats. The salwar kameez is also very popular in India especially in Northern India. In general unmarried girls wear the salwar kameez while married women wear the saree. However today, the distinctions are less and no such format exists these days. The traditional clothes of men include the kurta pajama, the dhoti, sherwani (mostly worn during weddings and formal occasions, lungi (mostly worn at home), and sarong. The national anthem of India is the “Jana-gana-mana” composed by poet Rabindranath Tagore. More than 60 years of Independence from the British, we Indians still take pride in singing the national anthem. The national animal of India is none other than the king of the jungle, the tiger. Ever since the launch of the “Project Tiger” in 1973 by the government of India, tiger population has showed a gradual increase in numbers. Currently there is a ban on tiger tourism in major tiger habitats. More about the wildlife in India. The national bird of India is the peacock. The peacock has religious significance and supposed to represent grace, joy, beauty and love. The lotus is the national flower, mango the national fruit, while the banyan tree is the national tree. The culture of India is more than 3000 years old that has enumerated from several civilizations, religions, philosophies, invasions and influence. To conclude, the culture of India is a broad term which doesn’t refer to some Indian way of doing things or looking at the world. As shown above, it’s a sum total of the numerous cultures that are found in this part of the world. India must be one of the top countries, if not the number one country, that has a rich culture dating back to several thousand years back. Thanks for the detailed article. Thank you Shamis. The culture of India dates back centuries from the Indus Valley to the coming of the Aryans and others to form a fusion of cultures. Michael, Indian culture is a lot of about food as well, curies being one of them. If you like curry a lot then you are partly Indian lol. I have yet to ride a camel. I will try that one day. You are welcome Ehsan. That’s great. I know Afghanistan is doing well in the Cricketing arena. Really love to read about Indian culture, However we Indians are more curious to know about western culture. This is certainly not good and we should take fruitful steps to preserve our culture and excite people to know about our own culture. I agree with you completely. The other side of the fence is always greener. India has always been one of those life time destination. I have always been so fascinated about indian culture, food and religion. Unfortunately i haven’t been able to visit India yet but i hope in a near future. Reading your post was like traveling a little bit there! thanks! Angela, agreed. Culture in India do vary from village to village. Meat consumption is one thing that varies from family to family. Thank you for commenting and hope to see you again. Best wishes. India is a place of colors and festivals. I have always loved reading about this country. Thanks for the great post Shalu. You are most welcome Fatima, thank you for your comment. Eileen, Native indian lifestyle is a lot of about meals as well, curies being one of them. If you like curry a lot then you are partially Native indian lol. 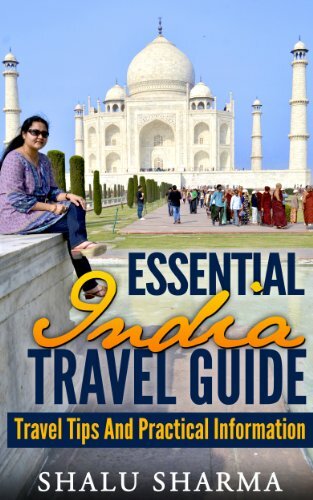 Ever since I’ve seen the movie “Eat, pray, love” I want to go travel, especially to check out India. Akos, please do come. I am sure you’ll like it. I have been interested in the culture and foods in India for some time. Hopefully I will visit some day soon. I enjoyed reading your introduction to India, nice article. Sure, any time. You are most welcome to India. I am glad you liked the introduction to India. Thanks for putting the many facets of your interesting culture in one place 🙂 I’ve always been fascinated with your country and I can’t wait to visit! Joy, I am glad you liked it. Thank you for your comment. Paula, thats great. Please do come and read my blog and feel free to get in touch for any India related questions. Thank you for yor comment and see you again. Whenever the subject is “culture” of India, the first things that come to mind are: curry, Gandhi, Mother Teresa, Indian clothing, Bollywood and many more. Glad to know about the festivals celebrated in India. Thanks for sharing, Shalu! Can u please tell me which plugin you are using for social sharing slider. I use sharebar but your’s is better then it. I knew little of Indian culture mungkian because some saw movies india. India pick a very good culture and preservation of the culture of India to date is maintained. I was fortunate to come to this website because I gained knowledge about the culture of India. Your country’s culture is rich, diverse and extremely fascinating! Thanks for the share! Beautiful people, warm hospitality, rich culture, words are not enough to define India. Namaste! 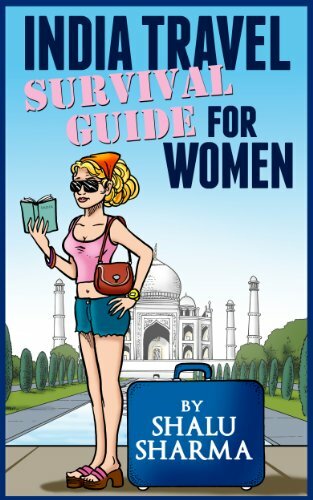 Welcome to India, it’s one of the world’s well-preserved and most breath-taking cultures. I love the country, I’ve been there on my second honeymoon and the Taj Mahal is majestic by the way! India is known for its Culture. Theres a reason why India is called Golden bird. When I was in my lunchbox days, I always choose India as my country of origin for our UN Day. I love the culture, and I’m also a sucker for their colorful and bright saris and sarongs. Shalu, the image of the chicken curry is very enticing, wow 🙂 Riding a camel is a full body exercise, at least that is what people who have experienced such rides say. I and my family were on vacation in Jaipur a few years back, but I could not garner the courage to ride the camel. But my hubby and twin kids did enjoy it very much! Hi Kavita, I know what you mean about the chicken dish. They are absolutely yummy. I have also not tried the camel ride but I hope to do so some day. Thanks for your comment. i like indian tradition, festival and culture very much. blue lotus folk music festival is purely based on the indian culture. I’ve known India for their best traditional custom dress, and exotic and various type of species! Also like to watch their Hindi movies. Can you share more about where to find Indian’s famous species? Thanks for posting! Wanna keep up to date. I love the Indian culture, dress foods; nice article and nice pictures too. Thanks for this very informative post Shalu. India has always fascinate me ever since I was a kid. Would love to be able to visit your country one of these days. I Personaly very like Culture Of India, nice article and nice pictures too. Indian culture is the best culture in all over the world. India is the place where people of each and every religion celebrate their festivals together which can only be seen in India. India is the land of unity, brotherhood which make our country proud. I am Indian and I feel very proud. Thanks for the informative article on India. Really appreciate your hard work, you have covered all the topics that people would be interested to know. World knows India is torch bearer in religion, and only spiritual religion.I’ve no words to mention the faith and firm conviction towards god what i have visited in Hardware, Varanasi,Allahabad,vaishnavdevi and many more. India is rich in heritage and culture. We have cultural diversity in every KM of distance. Our food, dresses and langues changes within few kilometers. As always, Thanks for the informative article on India. Really appreciate your hard work, you have covered all the topics that people would be interested to know. India has the best culture in the worldWorld knows India is torch bearer in religion, and only spiritual religion. Great post. Very explicit and useful. thank you for sharing it with us. One of the Best Website I have seen. We find a lot of information here. I love the culture of India. No one have this strict culture. I’m proud to be an Indian. Thanks for amazing article on India. It’s really good, explained all the topics with a very sweet and classy touch. What a curious article presented in this web page, really its awesome. Every country has own culture.I like your post. i wait your next post. Ms. Shalu Sharma you write great brief article about true culture of our beloved god blessed with many beautiful colors country no doubt it’s good but you have update some your content like embed youtube video Me taking part in the Durga Puja celebrations with family and friends photo because I could see the error there. i love indian culture ever. if you love indina movie, please dont forget to visite my site about hate story 3 up coming movie. 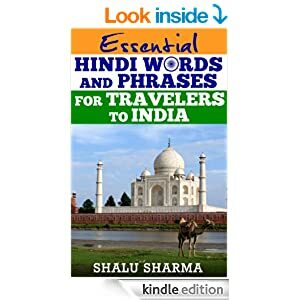 I love the culture of India, India is great, i am proud to be Indian and this article is very informative and useful, thanks for sharing. Hi, I am Sudipta founder of Share Of Heart. A passionate blogger just start my journey. Presently share on various topics on Indian Culture , Human Life, Leadership etc. My interest are on Indian Culture, Festival, Folks . During visit in your blog it’s give me immense pleasure and experience on a great presentation in your blog which interns inspired me a lot. India is a nice place of colors,Folks and festivals. its a great informative blogs. Yeh India Is Always Best Country. It is really great of you to project India in realistic manner of today’s time. I Personaly very like Culture Of India, nice article and nice pictures too.specialy the state Assam i really like most. 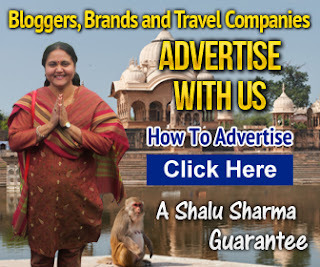 Hey Shalu, Thanks for sharing all information about the culture of India here. Thanks !! Simply Informative. India is most reach country with culture, heritage values and different festivals. Whenever I think for holiday break India vacation is my first preference always. this blog is really good to understand India. Thank you for sharing such a valuable information. There is no doubt that India is famous about its culture. Thanks !! Simply Informative. Our Indian Culture is incredible in the world. We Indian is very cool and multicultural.